Real black tea and has rich aroma. I recommend the tea for Japanese black tea beginner! It is friendly and easy to drink. Black tea's scent is rich and delicious. It is not shameful wherever it may go out. 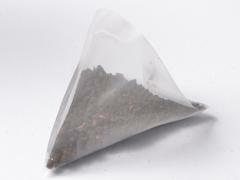 By the original broken process, they put 3grams of tea leaves in the mesh teabags . We can feel the gentlemanly of Mr. Kubota's straightforward through tea bags, prices and packages.